Why should I choose Dr. Ryan Senft for my dental care? Dr. Senft has received extensive training beyond that of average general dentists in order to provide services that many general dentists refer out to specialists. In addition to typical general dentistry procedures, Dr. Senft performs extractions, bone grafting, implants, root canals, orthodontics, and full mouth rehabilitations, all from the comfort of one dental office. Dr. Senft believes that the time and expense that he can save his patients is well worth the investment that he has made and continues to make in his training and education. We accept most dental PPO plans. Plans obtained through Covered California and HMO plans are not accepted at our office. Your first visit will typically be a new patient comprehensive exam. You will be greeted by our friendly team and will be given a tour of our state-of-the-art office. Then, appropriate photographs and x-rays will be taken, and Dr. Senft will perform an examination of your gums, teeth, muscles, and joints. At your request, Dr. Senft can also provide his thoughts on the appearance of your teeth. He will explain all of his findings, your options, and his recommendations. We value being thorough, so if more time is indicated, Dr. Senft will ask you to return for a complimentary second visit. Depending on the condition of your oral health, we may be able to offer professional hygiene care (a “cleaning”) at this first visit. More commonly, we will schedule your professional hygiene care for a subsequent visit. If you are coming to see us for a dental emergency, we will always address that first. We offer several payment options for our patients. We gladly accept cash, personal checks, and credit cards. Most dental PPO plans are accepted, and we will take care of the paperwork as a courtesy. We also offer patient financing through CareCredit if you qualify. Come in for an appointment, and one of our experienced team members will happily go over your individual insurance benefits and payment options with you. Why doesn’t my insurance cover that (or cover that in full)? Dental insurance is not really insurance in the true sense of the word. True insurance covers your health, your house, your car, etc. in the event of a catastrophic event. There is no dental insurance plan that works that way. Dental insurance is really just a pre-paid benefits plan. You (or your employer) pays some money each month to the insurance company, and the insurance company provides a fixed amount of coverage in return. The average annual dental insurance coverage is $1,500, the same amount that it was in the 1960s when dental insurance was created. As you would expect, $1,500 covered a lot more dentistry in the 1960s than it does today. 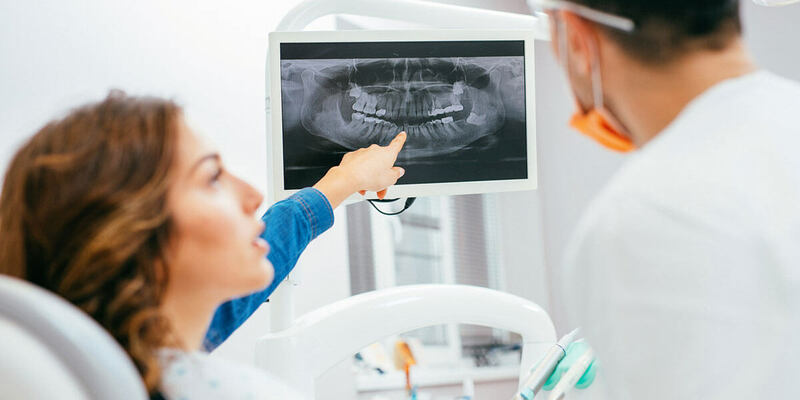 If a dental procedure is not covered by your particular dental insurance plan, it does not mean that the procedure is not necessary or that there will not be consequences to your health if the dental problem is ignored. Rest assured that we will always recommend what is in the best interest of your health and will do our best to educate you on the coverage offered by your particular insurance plan. What if I need to reschedule/cancel an appointment? Part of our mission is to be on time for our patients and to be efficient in all ways. It is our hope that our patients will be equally respectful. Kindly provide at least two business days’ notice for any appointment that needs to be rescheduled. Our business hours are Monday through Thursday, 8AM to 5PM. If, for example, you have an appointment on Monday morning and need to reschedule, we expect you to notify us by the Wednesday morning prior, and we will be happy to assist you in rescheduling. Appointments cancelled with less notice may be subject to a cancellation charge. How often do I need to get x-rays? X-rays are an essential part of both your initial examination and your regular checkups at our office. There are many oral diseases that we simply can not identify without the use of x-rays. We will typically take a few x-rays each year. The determination will be based on a variety of individual factors. There are state regulations that require us to take x-rays, and we are therefore unable to see patients who repeatedly refuse them. Why is technology important in a dental office? With the use of advanced dental technology, procedures are faster, more comfortable, and more precise. What technology does Dr. Senft have in his office? Dr. Senft’s practice is distinguished by its use of advanced technology, which makes dental procedures faster, more comfortable, and more precise for his patients. Some of the many technologies that he employs include 3D digital imaging, CEREC same-day crowns, digital impressions, 3D printing, virtual implant planning, mini intraoral cameras, and lasers. What type of x-rays will I get at your office? Dr. Senft uses modern digital x-rays, which use up to 90% less radiation than traditional film x-rays. In addition, Dr. Senft’s patients benefit from state-of-the-art 3D digital imaging. With this technology, the doctor can see all your teeth and oral structures in three dimensions. There is no faster or more comfortable way to gather so much critical information about your mouth and teeth. Very few dentists have this technology in their offices. Do you offer laughing gas or other types of sedation? Dr. Senft is formally trained in the use of nitrous oxide (laughing gas) and both oral and IV sedation. Dr. Senft’s patients, including those who have needed sedation with other dentists, have found that they are extremely comfortable receiving treatment from Dr. Senft without any sedation. They attribute this to his gentle hands and demeanor. Because his patients have not needed these services, we no longer offer them. If desired, we may prescribe a mild sedative that can be taken in pill form before an appointment. Why should I choose Dr. Ryan Senft for my dental implant? When choosing an implant dentist, it is most important to consider the doctor’s training and experience. Dr. Senft has been awarded both a Fellowship and a Mastership in implant dentistry by the International Congress of Oral Implantologists, the leading international organization for the credentialing of implant dentists. These awards signify Dr. Senft’s extensive training as well as his commitment to ongoing education as the field of implant dentistry evolves. Dr. Senft is the only dentist in Cupertino who has been awarded both of these designations. What is bone grafting and is it safe? When a tooth is removed or when additional bone is needed to support a dental implant, bone grafting is used. Dr. Senft most commonly uses bone from human donors. This avoids the discomfort associated with using an individual’s own bone. The bone comes from an accredited tissue bank, where it is thoroughly sterilized and tested. According to the CDC, there has not been a single reported case of disease transmission in the 30-year history of this type of bone graft. Absolutely not. There are hundreds of companies making dental implants, and they sell them to dentists at a wide range of prices. Some dentists, especially those offering deep discounts on dental implant procedures, use inferior “knock-off” implants. Research and experience show that such implants are more likely to cause complications. We use what many consider to be the finest dental implants in the world, from a Swiss company named Straumann. How much will my dental implant cost? We will always inform you of all fees in advance of performing any treatment. Our treatment is highly customized to each patient, so it is not possible to provide a fee for treatment until we perform an examination. Each person and situation is unique. What technology does Dr. Senft use in the dental implant process? Dr. Senft employs the most current and advanced technology throughout the dental implant process. This includes 3D digital imaging, digital impressions, virtual implant planning, and the use of a surgical guide. All of these technologies work in tandem to provide an extremely precise and efficient implant experience for Dr. Senft’s patients. The feedback that Dr. Senft has received from his patients is that they typically need no pain medication after a dental implant procedure and that they typically return to work the same or next day. Why should I choose Dr. Ryan Senft for my same-day CEREC crown? When choosing a CEREC dentist, it is most important to consider the doctor’s training and experience. Dr. Senft has been trained by the best in the field and is highly experienced with this technology, having performed the procedure thousands of times. He continually trains on the latest versions of the CEREC hardware and software. What is a same-day CEREC crown? CEREC is a technology that allows Dr. Senft to make one or more porcelain/ceramic crowns for his patients in a single visit. The system uses a high resolution camera, sophisticated computer software, and a 3D printer to make your crown in about fifteen minutes versus the three weeks that it takes a typical dental lab to make a crown. How do one-visit CEREC crowns compare to old-fashioned two-visit, lab-made crowns? CEREC crowns are made through a digital process, so they fit more precisely than crowns made using old-fashioned impression techniques. In addition, having a crown made in a single visit and not having to wear a temporary crown for three weeks prevents damage to the underlying tooth that can occur with the old-fashioned two-visit technique. Lastly, we can use the same high-quality porcelains/ceramics that labs use, so the beauty and longevity are the same. Invisalign and ClearCorrect use a series of custom-made clear trays, called aligners, that are worn to straighten teeth without metal braces. As an individual progresses through the series of aligners, his or her teeth gradually move into a straighter position. The aligners are nearly invisible when worn. My orthodontist attached a metal wire behind my teeth after I finished braces. May I get that removed? In order to keep your teeth straight after braces, it is necessary to either have metal wires attached behind your teeth or to have a set of retainers made for wearing to sleep. It has been our experience that the metal wires contribute to unhealthy, bleeding gums. In addition, the wires often break off at inconvenient times. We can easily remove your wires and make a set of clear, metal-free retainers that you can wear to bed and remove in the morning. Am I a candidate for Invisalign or ClearCorrect? Most people are good candidates for Invisalign or ClearCorrect treatment. We recommend scheduling an examination so that we may discuss your goals and provide you with an estimate for the length of treatment. Why should I choose Dr. Ryan Senft for my cosmetic dentistry? When choosing a cosmetic dentist, it is most important to consider the doctor’s training as well as the quality of materials used by the doctor. Dr. Senft has been trained by the best in the field and works with the finest ceramic labs. He continually updates his knowledge on the best techniques and materials through advanced continuing education. Why would I choose porcelain veneers over composite resin bonding? Isn’t bonding cheaper with the same result? The bonding technique uses a generic composite material that is semi-permanently attached to your teeth and shaped by the dentist in your mouth. Bonding may initially be a less expensive option and may look good immediately after it is done. However, the material tends to stain and chip over a short amount of time, and the cost of repairs and replacement generally makes this option more expensive than veneers in the long run. It has been our experience that the most effective and comfortable way to whiten teeth is at home using custom trays made by a dentist. We take impressions of your teeth and fabricate custom trays for your upper and lower teeth that are clear, soft, and comfortable. You fill the trays with whitening gel provided by us and wear the trays either during the day or at night until the desired result is obtained, which is typically about three days. It has been our experience that this method of whitening is superior to both store-bought whitening products and in-office treatments such as ZOOM. Modern whitening gels contain desensitizing agents that prevent sensitivity for most people. Some people do experience temporary tooth sensitivity after whitening. For those individuals, the sensitivity does not typically last for more than a day or two.